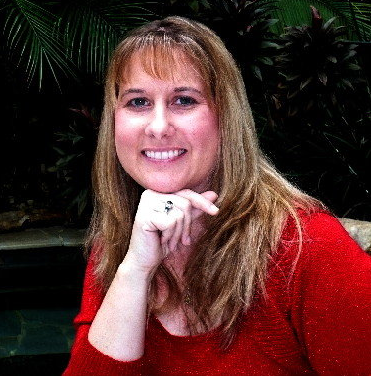 As I am sure all of you read my reviews of Dragonstone and The Dragon's Heart in a previous posting, you are by now familiar with up-and-coming author Michelle Young. This weekend, Michelle is hoping to take DragonCon by storm as she introduces new readers to her world: the magical world of Latharia. I had the chance to interview Ms. Young about her books, her beginnings, her inspirations and her plans for the future. Celebrity Extra: Had you always known that you wanted to be a writer, or did you develop this love later in life? Michelle Young: I’ve always loved writing, but I never thought I would be a writer professionally. At one time I was going to go to school to become an English Literature Teacher, because I love reading the classics; I love creative writing, but I never thought I would do it professionally. And then it just kind of happened. CE: How did the whole thing happen? MY: The best way to say it — and it sounds really weird — but I had this story in my head, and it got to the point that I was compelled to write it. And I sat down at my computer — because my kids were younger, so they would go to bed and my husband would play his video games — and this is my relaxation at the end of the day. I would sit and write it. And I kind of thought it would be a romance. And I was just embarrassed. I was embarrassed of the subject; I was embarrassed to think: “I think I could write a book?! ?” So I didn’t even tell my husband. We were married almost 18 years and I tell him everything, but I didn’t even tell him. I stumbled onto the Central Florida Romance Writers Association and went there a few times. I learned a lot but got intimidated by all of these other authors. There’s about 50 members and about a quarter of them are published, and some of them are big published. And I’d gotten to the point where I thought, “I am not that good, and I am never going to get published.” I’m going to go to one more meeting and see what happens. And I went to that one more meeting and it just so happens Rhonda Penders — the owner of the Wild Rose Press in New York — was here on vacation. So the president had invited her to come speak to our little romance writers group. She took pitches after the meeting. So I talked to her, I pitched, and she said: "It sounds really good. Submit it." So, I did and I got accepted. CE: Were you nervous about the whole pitch? MY: Oh, yes. And the whole point of the Wild Rose Press is that they’re a gentler publishing company. So, when I talked to her, it probably was not the kind of pitch you’d want to give to Harlequin. I probably sounded like a babbling idiot, but she got it. She was like, “It’s okay, just relax; tell me, what your story is about?” So I got through it. I don’t know if the universe just aligned and everything just fell into place. I just can’t explain it. I felt like I was meant to do this. CE: When did the first idea of “Dragonstone” come to you? How did it develop for you in your head? MY: I had little scenes in my head. And have had those little scenes in my head for years. And then it just got to the point of this scene is starting to flow into this scene, and it was kind of just developing. And I was kind of like, “How is this all going to … I don’t know.” It just flowed. I did not have the entire story in my head from beginning to end. I just sat down and started writing it, and I’d get to a point and be like, “I don’t know where it’s going to go next.” And I would just put it aside or I would go to bed, and it would just come to me. You’d be surprised by how many things are in there now that were not in there at the very beginning. CE: Did you know how it was going to begin and end, and you just needed the middle? Or it all just developed at one time? CE: How long did it take you — from conception through fruition? MY: “Dragonstone” only took me about six months to write. And a lot of it was the eight to 10 hours a day sitting in there writing. But “The Dragon's Heart” took me almost a year and a half. CE: Now when you are developing characters, do you put in the personality of people that you know? Or do you try to keep people out of it? MY: My sister will tell you that Kat is modeled after her. My husband will tell you that he’s Logan. (Laughter) But no, it’s not. They’re just personalities that just developed in my head. They’re not based on anybody I know. CE: Is there anything about Kat that you’ve drawn from yourself? CE: When you get feedback from fans who have read the books, what are some things they've been telling you? MY: I think for me the neatest thing is when I get the people who say: “Gee this is not normally the kind of book I read. But, wow! I loved it because it wasn’t what I expected.” Or the people who say, “I’m exhausted today and it’s your fault, because I had to finish reading it. I couldn’t go to bed until 1:30, and I had to get up at 6:00.” Or you get somebody in New Zealand who said, “I went to the bookstore today and ordered your book.” Those things are really cool. CE: How are you getting the word out about your books, because you are with a small press? MY: Really, a lot of it is word of mouth. I hope people who read the book like it enough to tell their friends, “Hey, this is a really good book. You should read it.” I do have a website. I go to the Southern Women’s Show and I do try to go to different conferences. Through my local romance writers group, we do a once-a-year Booksellers Tea that you invite people to who own small bookstores, librarians, that kind of thing, and you try to get them to buy your book. I’ve been to Author's Day at libraries. So different things like that. I try to make as many appearances as possible. Michelle, you have an amazing imagination. It's been a wonderful journey!